The school bus slid off Old Sambro Road in Harrietsfield, outside of Halifax, this morning, hitting a power pole and landing on its side. 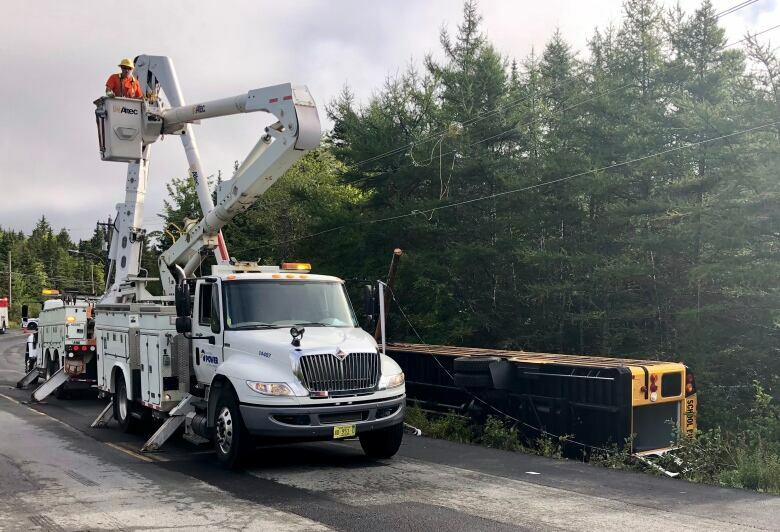 A school bus carrying nearly a dozen students slid off Old Sambro Road in Harrietsfield, outside of Halifax, this morning, hitting a power pole and landing on its side. Scot Shaffner, district chief with Halifax Regional Fire and Emergency, said the driver and 11 students were on their way to Herring Cove Junior High School. All of them had been able to get themselves out of the bus before fire crews arrived on the scene. One person was taken to hospital with minor injuries. "Something went well out of all of this," he said. Shaffner said the road is quite narrow in that stretch of Old Sambro Road. It appears the wheels of the bus hit the shoulder and the driver could not recover. Const. John MacLeod, public information officer for Halifax Regional Police said at 8:40 a.m. that the crash had just happened. 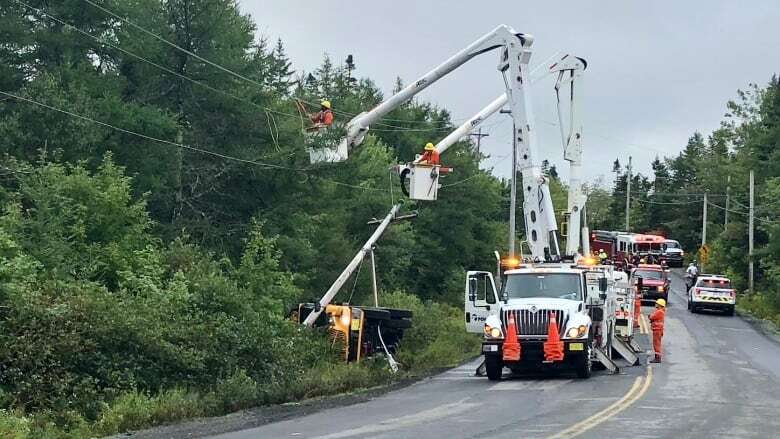 The bus damaged a power pole, and Nova Scotia Power crews are on the scene working to restore electricity to nearly 1,600 customers from Spryfield to West Pennant. Shaffner said the damaged pole and lines over the bus were a "major concern," but they've been "isolated." He said there's some concern a fuel tank might have been punctured and leaked into a nearby waterway. 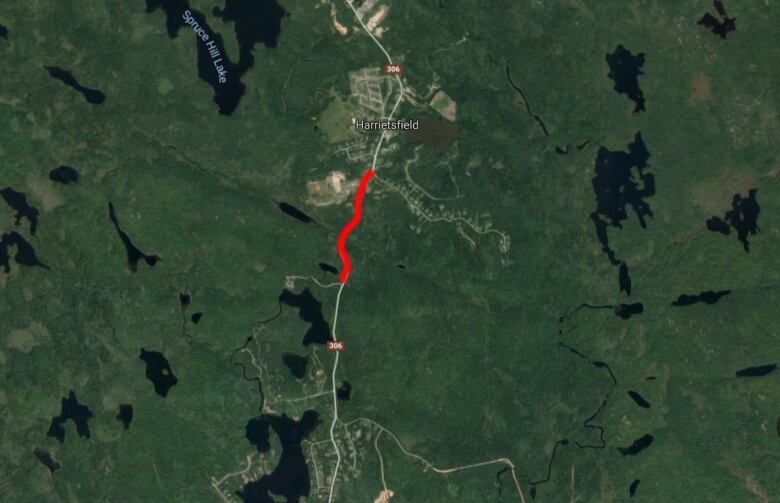 Old Sambro Road remains closed in both directions between Club Road and Whitehead Road until further notice.